SALE OFFER: SAVE 35% + Get Bonus worth £49! Learn the skills you need to master horn section playing on saxophone! • Complete bundle of backing tracks. 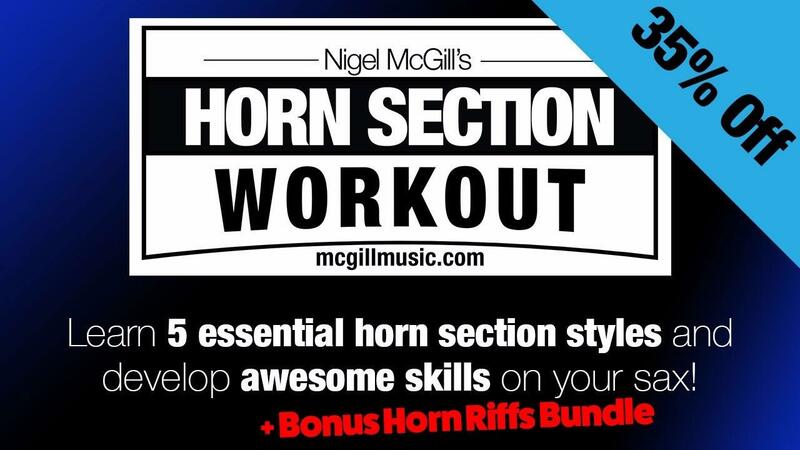 This bundle of PDF transcriptions for 3 horns and practice backing tracks will get you playing the 10 most important horn lines from classic albums that you need to know on sax. Play along with the individual riff practice tracks as you learn, or get together with some friends and practice the riffs as a horn section!